November has seen some of the busiest days on record in University Hospital Limerick’s (UHL) history. November 8 showed UHL experienced one of the highest rates of overcrowding ever recorded in a single hospital with 66 patients treated on trolleys and wards. Some 449 patients were treated on trolleys and in corridors at UHL this November compared to 332 patients during the same period last year. According to figures from the Irish Nurses and Midwives Organisation (INMO), the situation was just as bad in October when the figure reached 885, a huge increase on the 746 recorded the previous October. Indications are that it will get even worse during the winter flu season where patient numbers are expected to increase. A total of 339 more patients were treated this year in UHL compared to the same period last year. The total number of patients on trolleys from January to February 2015 were at 4,135 whilst 2016 has seen an increase to 4,474. The hospital has come under fire in recent months for the delayed opening of the new emergency department at UHL, which has been postponed until next May. Student Marisa Kennedy from Tipperary, who spent three days on a trolley in the emergency department in October, describes her experience as “a nightmare”. “On the third day, I was admitted to a private room on a men’s ward. I had no privacy. The waiting room was ridiculously crowded, you couldn’t walk through A&E without bumping into people. People were hitting off my IV drip causing shooting pain down my arm; it was a horrible experience,” she said. “I only saw a handful of nurses who had to deal with everyone. They gave me such great care and were always kind and patient. The doctors and nurses are fantastic, but the establishment they are working in is grossly unfit for purpose,” she continued. The situation in the hospital is “unmanageable” according to a newly qualified nurse who does not wish to be named. “I go to work every day with a sense of dread as to what will be waiting for me. I love my job but, being as short-staffed as we are, it is extremely difficult to work hard and fast while also giving the highest standard of care,” she said. “We had to call down our health and safety officer and fire officer to A&amp;E due to the dangerous situation we were left in. Trolleys were blocking doors and fire escapes; doors to trauma and resuscitation rooms were almost inaccessible due to the crowds, it’s unbelievable,” she continued. Although the new emergency department will be a welcome development, she says there are still concerns over how it will be staffed. 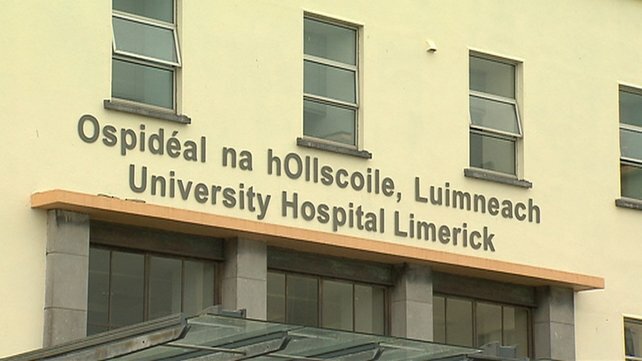 INMO Industrial Relations Officer Mary Fogarty said the situation at UHL has “significantly deteriorated” and the “shortage of nurses and beds was a significant contributory factor to the inability of the HSE to contain the spread of infection”.